The Legend to The Treasure Audio lessons reinforce the Videolessons available on WeighDown ALL ACCESS. Available in a 10 CD Set or as a 10 lesson Audio MP3 Download. THE LEGEND TO THE TREASURE class is a comprehensive look at where we are and where we are going: this country, the world, and the Church. It is also an in-depth study of our own life "compass" and direction. Most of us need to change and turn our ships around quickly. Without a doubt, this 16-week class will lead you to the answers you have been searching for your whole life...permanently getting your ship in the right direction. 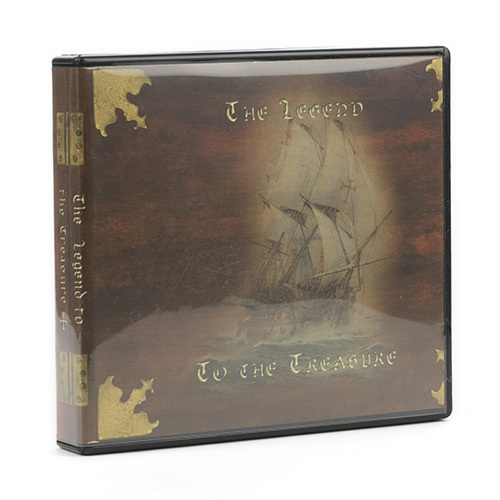 These audios compare the journey of life to a treasure hunt, with a Relationship with God as The Treasure. It describes the pain of the world and tells how to find Freedom, Hope, and Inexpressible JOY: Seek GOD first, align my will with God's (just as Jesus did), and everything else will be given back, and life will be worth living!! These audios, and the DVD lessons and book that go with it, helped me get on the right path in my search for a relationship with God, and my life has never been the same!! The principles in these lessons have influenced every area of my life, for the better, and continue to help me get closer to God, which makes my life GLORIOUS!